Can't find the VW air cooled engine you're looking for? We have the air-cooled VW engine parts you need in stock and ready to ship. 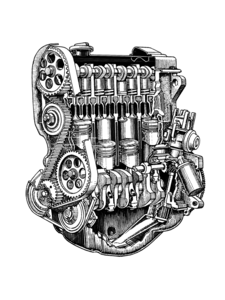 So call us at (586) 757-2300 with your VW engine questions. We'd love to share our thirty years of Volkswagen knowledge and experience with you. Whether you're looking for a 1200cc, 1300cc, 1400cc, 1500cc, 1600cc, 1700cc, 1800cc, or 2000cc. We can help. We have both VW dual port and single port engines available. Our rebuilt engines will get your beetle, bus, or dune buggy back on the road.